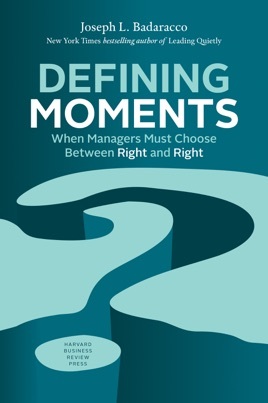 Defining moments” occur when managers face business decisions that trigger conflicts with their personal values. These moments test a person’s commitment to those values and ultimately shape their character. But these are also the decisions that can make or break a career. Is there a thoughtful, yet pragmatic, way to make the right choice? 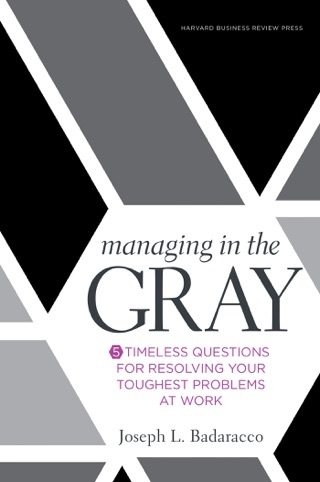 Bestselling author Joseph Badaracco shows how to approach these dilemmas using three case examples that, when taken together, represent the escalating responsibilities and personal tests managers face as they advance in their careers. The first story presents a young manager whose choice will affect him only as an individual; the second, a department head whose decision will influence his organization; the third, a corporate executive whose actions will have much larger, societal ramifications. To guide the decision-making process, the book draws on the insights of four philosophersAristotle, Machiavelli, Nietzsche, and Jameswho offer distinctly practical, rather than theoretical, advice. Defining Moments is the ultimate manager’s guide for resolving issues of conflicting responsibility in practical ways. 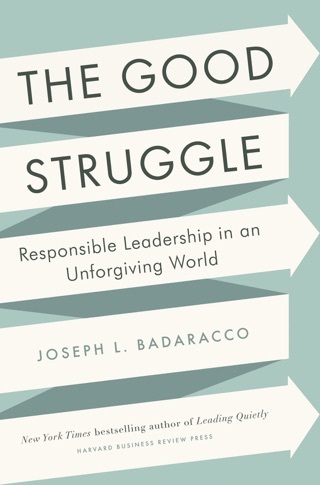 More Books by Joseph L. Badaracco Jr.